I worked on the book Reading Barnard Williams (Routledge Press). I edited the work of Martha Nussbaum and Carol Rovane. The Editor of the whole project, Daniel Callcut, called me “a superb research assistant” in the acknowledgements section of the book. 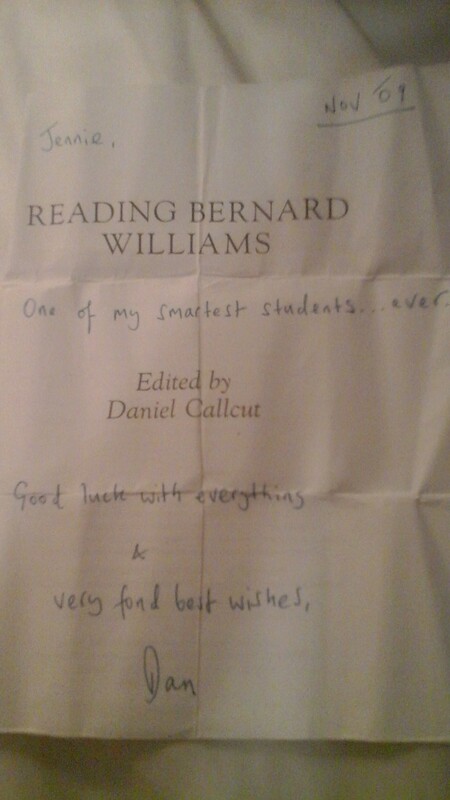 He also gave me a copy of the book, which he inscribed a comment to me on the first page of the book. I keep this page framed along with my prized possessions.